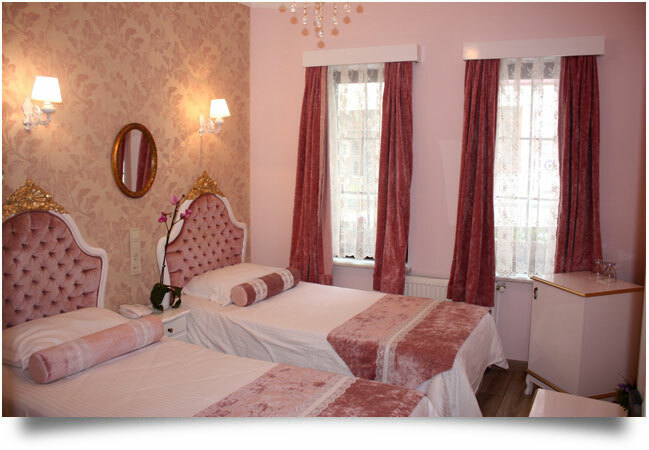 The spacious Suite Room offer a comfortable bedroom and sitting area with high ceilings. Featuring the characteristic styles of the 19th. Century architecture with neoclassical details. Multi-channel LCD Television, Wireless Internet and DVD and CD player, keeping you entertained and connected. 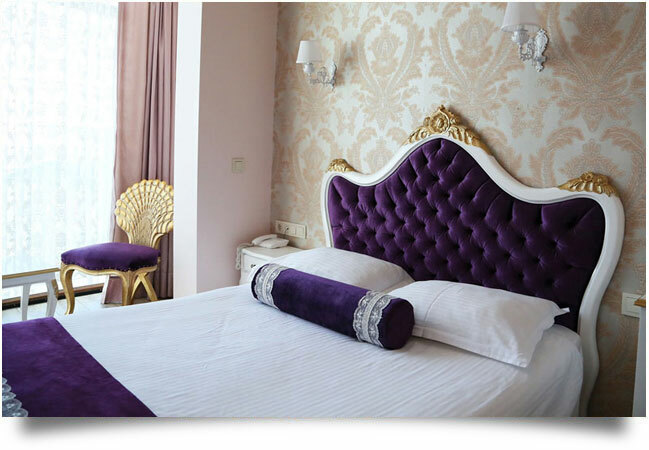 Every room is equipped with all items of comfort such as air-conditioning, central heating system, mini bar, direct telephone and safe-deposit box. Get cosy in a sitting area that features a desk and chairs coffee table and refrigerated private bar. 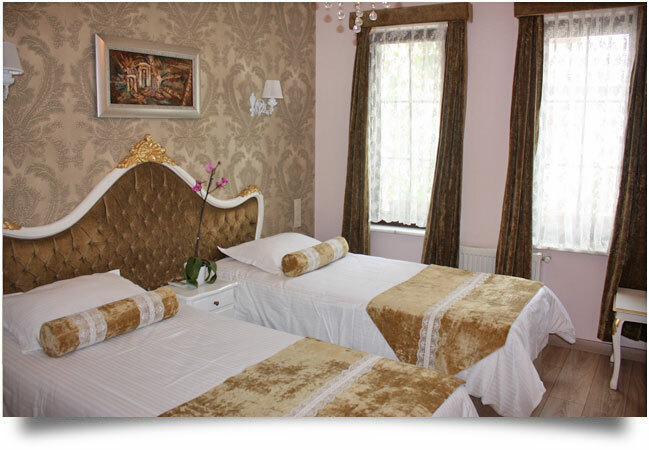 Open the large windows and take in gorgeous views of Marmara Sea and St. Sophia or Blue Mosque. All cancellations until 2 days before the date of entry may be canceled free of charge. The spacious Single Room offer a comfortable bedroom and sitting area with high ceilings.Featuring the characteristic styles of the 19th. Century architecture with neoclassical details. The spacious Twin Room ffer a comfortable bedroom and sitting area with high ceilings. Featuring the characteristic styles of the 19th. Century architecture with neoclassical details. Get cosy in a sitting area that features a desk and chairs coffee table and refrigerated private bar.Open the large windows and take in gorgeous views of Marmara Sea and St. Sophia or Blue Mosque. The spacious Family Room offer a comfortable bedroom and sitting area with high ceilings. Featuring the characteristic styles of the 19th. Century architecture with neoclassical details.